As the CEO of the organization, it’s important to keep a constant tab on your company’s social media communication and marketing efforts. Apart from the fact that social media has proven to be one of the most effective marketing channels, it’s also a PR channel which connects your company with the target audience and public in general and what you do on social media also impacts your brand’s image. Another big reason for you to keep a tab on social media is that it enables you to track and listen to your target audience, i.e. social listening – it helps you to understand your target audience better. Social listening provides you gold mine of information about your target audience – what they say about your brand and competitors’, what are the topics they discuss about, your TA’s interests and preferences and so on. In this post, we’ve put together to quick guide, exclusively for CEOs, on how to evaluate your company’s social media marketing efforts. There was a time when social media was handled either by the marketing team or by the HR team because it was the presence that only mattered to many companies. 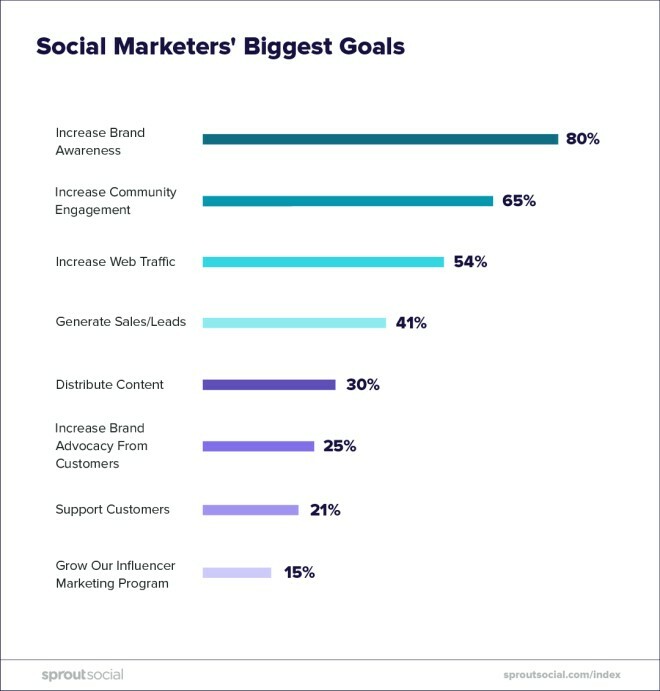 But over the years, social media has become one of the major channels of marketing, driving companies to hire social media agencies or set up their own dedicated social media teams. Today the popularity of social media has reached to an extent where approximately 2.5 billion people use social media platforms on a daily basis in which Facebook is the most desired social media platform among people. Chatbots, Live Streaming, AR & VR are some of the trends which are transforming the social media landscape. 1. Review Your Social Presence – It is important to periodically review the posts and engagement on your social media pages and see if the ‘tone’ and ‘communication’ are in sync with your company’s overall marketing/communication strategy. Does your social/digital agency or social team have a content bucket in place? Do they have a strategy in place in terms of the posts that are made? Are these posts generating engagement? Are the posts in-sync with your social media objectives? Are your posts and graphics sounding interesting and attractive? Are you active on the right digital platforms? These are some of the questions to be raised whose answers will help you to assess the performance. 2. Pick Objectives and Key Results- Social media objectives greatly depend on the type of industry or brand. Objective can be as broad as possible but, it should be the guiding factor or principle behind your campaigns. One popular method behind setting the key objective and result is the Objective and Key Results (OKR) Method. It is broadly used to identify the objectives that supplement the specific, number-driven key results that are predetermined with success metrics. The above image is just an example as to how can you set goals and expected results can be defined to measure success or progress. In this case, the number of unique page visits and click through rates on your chosen social channels are to be tracked. Your key results will determine and define what kind of metrics you will analyze and how would success look like. 3. Set Goals & Choose the Right Metrics – Define the right metrics – track metrics that matter the most to you. There are multiple metrics and parameters to evaluate social media marketing efforts. Your objectives will determine the metrics to be tracked which will in turn help you to define expected (key) results. Talk to your digital marketing agency or social media team and discuss about the goals and metrics that should be tracked to assess progress – As a CEO you may be busy and may not be able to track all the metrics/parameters (as they there are plenty) that your team may be normally tracking and you may want to track only a few that matter the most. For example – if the primary objective of your social media efforts is to increase sales and you are running paid campaigns – metrics that matter the most are conversions, conversion rate, spend and ROI. Other examples of metrics include number of social share on blog posts, likes on social media pages, positive reviews about your company on sites like Yelp, reach and engagement on posts and so on. 5. Bridging the Gap – Targeting Vs. Target Audience – It should also be ensured that your company’s social media activities are in-sync with your target audience and their social activities and objectives – hitting the right notes in connecting with your target audience is essential to get the best out of your efforts. To make this happen, your social strategy should revolve around your target audience’s expectations, behavior, preferences etc. Talk to your social team or review their work to know/understand if they are analyzing and are up-to-update about the target audience’s profile on social (demographics, interests, activities, changing trends etc.). Engaging your target audience with the right content, at the right time and on the right platforms will really help you to up your game. Are your social media efforts in-sync with your target audience’s journey and expectations on social media – Find out! 6. Social Media Vs. ROI – Don’t make the mistake (as many do) of evaluating social media efforts purely based on ROI. Yes, ROI matters and social’s contribution to sales/conversions can be tracked and reported. But, the numbers may not be always impressive and that shouldn’t discourage you to take social seriously. 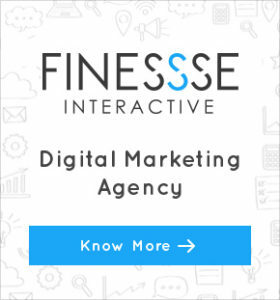 Targeted social media efforts create synergy and boost your overall digital marketing efforts in multiple ways including increasing brand awareness, ensuring brand recall, facilitating brand positioning, enabling data gathering and more. 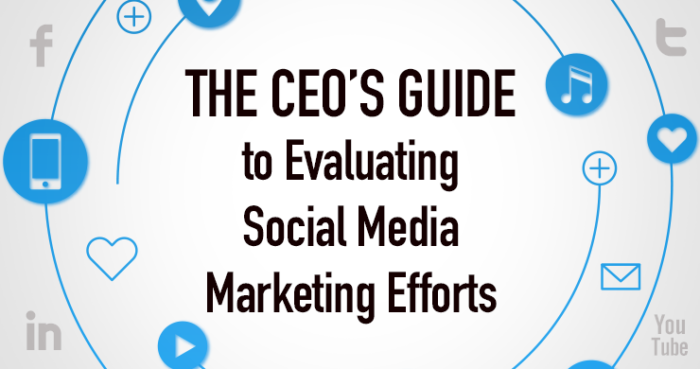 CEOs and CMOs taking a myopic view of social media marketing can prove costly sooner or later. 7. Lend an Ear to The GenZ – Last but not the least; be receptive to GenZ – GenZ are making a significant impact on the world of commerce and as per Fast Company, by 2020, 40% of all consumers will include the Gen Z and that brands are already planning out on how to communicate more easily with them. Reaching out to this group will take a different approach – they have a different set of needs and they are adept at using technology. Irrespective of the nature of your business, make sure to have presence on social platforms where they are active, create content that caters to this segment and also ensure cross-device accessibility. This segment may be becoming or may become the major part of your target audience in a few years.